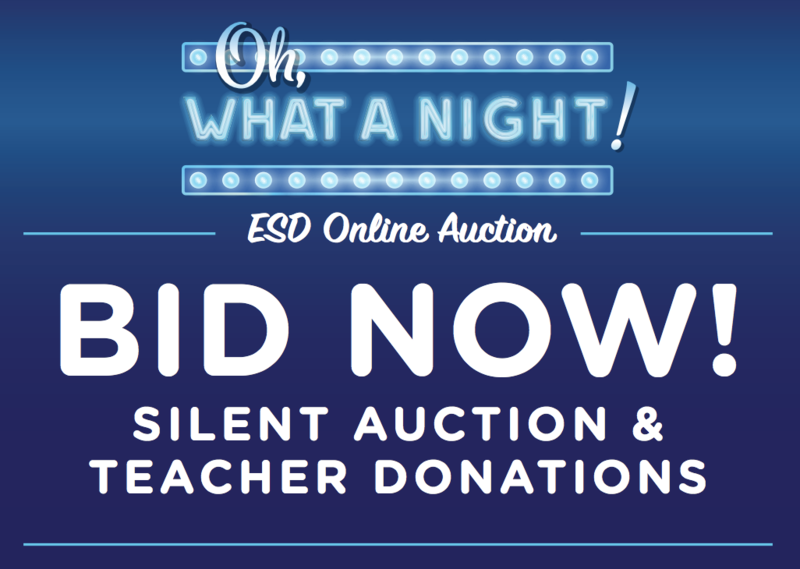 We are very excited to announce the ESD Parents' Association (ESDPA) annual Auction event, OH, WHAT A NIGHT!, will be held on Saturday, February 9, 2019, at the Statler Hotel in downtown Dallas. The night will begin with a cocktail party, followed by a seated dinner, Live and Big Board auctions, and a highly anticipated musical performed by ESD parents and faculty. DJ Souljah, D Magazine's Best of Big D 2018, will play us through the rest of the evening. Please contact Maria Link to be added to the wait list. Spaces at all of the events are limited and are sold on a first come, first served basis. CLICK HERE TO BUY THE EXPERIENCE! BIDDING OPENS SUNDAY AT 6:00 P.M.
Live, Big Board and Silent auction items help raise important funds for ESD. Please consider donating an item or gift card for our auction. All gifts are important and help us move forward the mission of educating our children. Please download the Donation Form below if you have an item you would like to donate.